How to Write Marketing Emails for Skimmers? Jakob Nielsen in 1997 wrote that users on the web don’t read. That is a myth that held up in the last decade, but he was right in that a lot of us only skim most of what we open. You have to be prepared that this will happen to your email too. Design should always follow content: you should create visuals to emphasize the most important elements of your copy. But how can you do that if you want to create email templates for a campaign? You should first draw up a draft of your copy. Decide if you want a longer or short one depending on the complexity of your offer. Use headlines and sub-headlines that catch the attention: make them easy to read and spot, so skimmers can know what each piece of text is about and read more if they want to. In email you should use the minimum amount of distracting images and graphics, but in this case you can use them to direct attention more effectively – for example with a simple arrow that guides the reader through the most important message and points to the CTA. using a typeface different from the main copy. 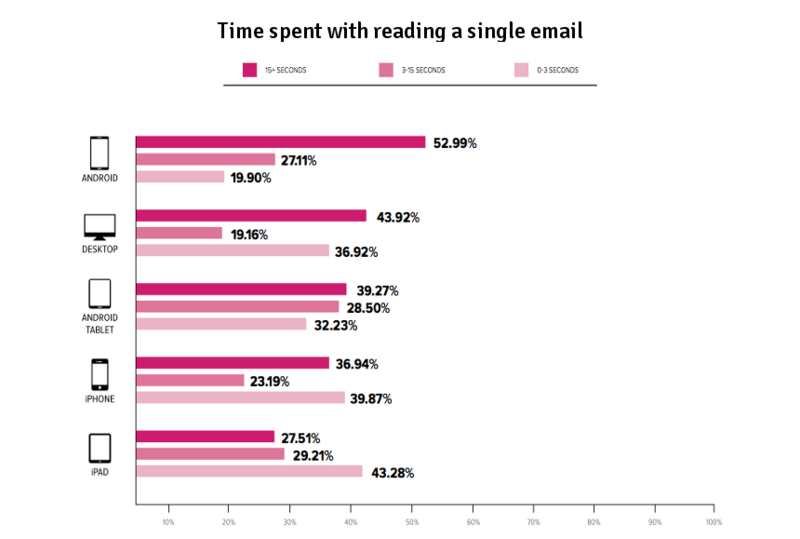 Can you understand what the email is about in just under 5 seconds? If not, because there are too many message points highlighted or too many distracting visual elements, go back and fine tune the template and make it simpler. Most people will never read everything you write them, not even if they open the email and click through in the end. But that is not a problem as long you plan for it.